It’s no secret that hail can cause serious damage to your home. Dealing with the insurance company and warding off storm chasing contractors can quickly become overwhelming. Denny was a past client of ours when his home in Eden Prairie, MN suffered hail damage. He appreciated the fact that we could work with him to restore his home and that we partnered with his insurance company to provide them with the documentation they needed to process his claim. 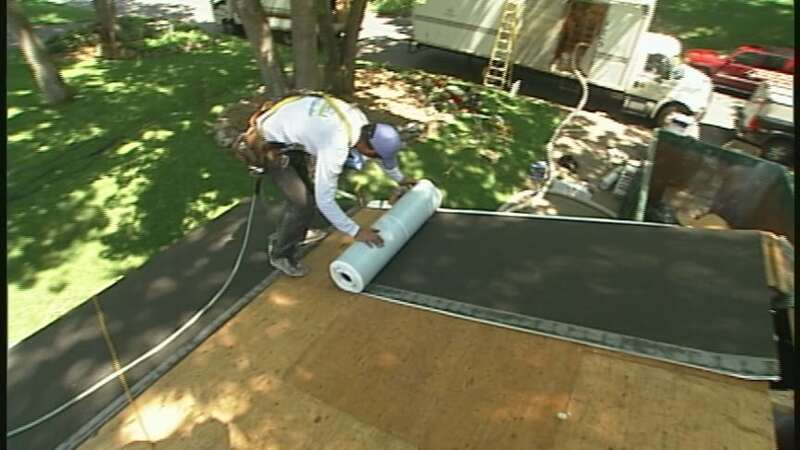 Asphalt Roof- For many homeowners, shingle selection can be intimidating. They need to be long-lasting and beautiful. However, if the shingles aren’t unique enough, they can make the home blend in too much with the rest of the neighborhood. In order to help Denny visualize what his home would look like with new roofing, we took digital photos of the home and shared renderings with various shingle colors and styles. Ultimately, he decided on a GAF roofing system. With a 50 year, non-prorated warranty on both labor on materials, it’s an investment that offers a homeowner peace of mind. He opted for Camelot shingles in Aged Oak. With twice the amount of asphalt as an ordinary shingle, they provide the home with a more refined look. In addition, the extra asphalt offers better protection against damage from hail and tree branches. At the commencement of the roofing project, we laid tarp along the ground which would act as a protector of the home’s pristine landscaping. Utilizing this strategy also confines the debris that’s a result of the roofing tear-off process to designated areas. Once the hail damaged shingles had been removed, we examined the roof decking for rot and replaced damaged areas. While this is an extra step in the process, it protects those that work on the roof in future because the risk of falling through is minimized. One way we set ourselves apart from less experienced roofing contractors is by addressing the small details. While evaluating the 1970’s era home, we discovered 2 x 4 sidewalls in the attic. This configuration is notorious for allowing heat to escape onto the roof, causing ice dams that can leak water into the Minnesota home. The home’s previous roof utilized brittle tar paper, rather than a modern ice and water shield. To create a better drainage plan, we cut out six inches of the home’s old cedar siding, installed ice and water shield, step flashing, and a cedar board stained to match the home’s current siding. This combination of materials will prevent future leaking due to ice dams. LeafGuard® Brand Gutters: Denny’s Eden Prairie property is located on a lot with several mature maple and oak trees. Rather than sacrificing time he could be spending traveling, cooking, or on his photography hobby, to clean his gutters, he decided to have us install LeafGuard® brand gutters. This patented, one-piece system carries the Good Housekeeping Seal and is guaranteed never to clog. If they do, we will clean them for you free of charge. 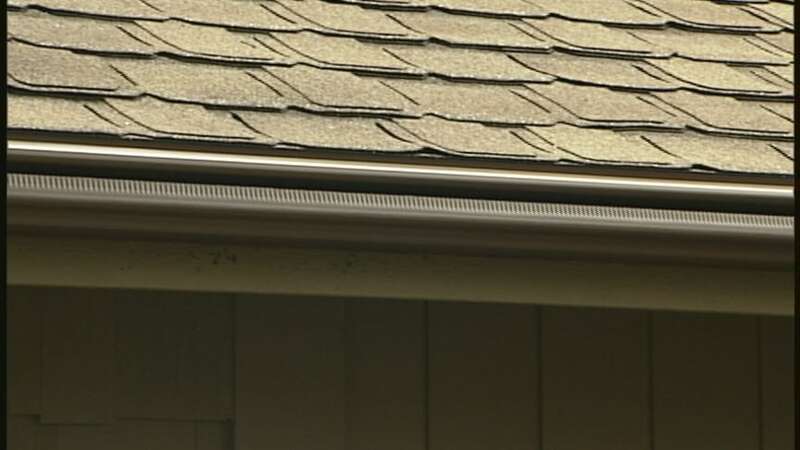 The gutters are comprised of 20% thicker aluminum than ordinary gutters. Their downspouts are oversized to allow approximately 12 inches of water flow. Their installation acts as a preventative measure for water filtering into his basement during heavy Twin Cities’ rainfalls.